SRA Summer Adventures in Reading is a remedial reading and writing program with 30 instructionally sound reading lessons in each level. This program provides students with strong phonics instruction, emphasizes vocabulary skills, and reviews comprehension and writing skills. 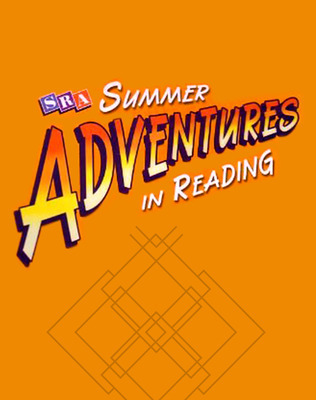 SRA Summer Adventures in Reading is a remedial reading and writing program with 30 instructionally sound reading lessons in each level. This program provides students with strong phonics instruction, emphasizes vocabulary skills, and reviews comprehension and writing skills. This allows students to catch up within a half year to their peers. Extending Your Adventure questions that help students think about, understand, and discuss stories appear at the end of every selection.